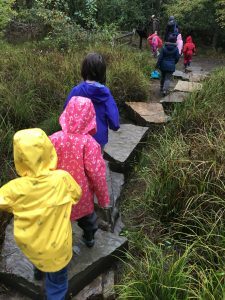 This blog post has been adapted from the first chapter of Bringing School to Life: Place-Based Education Across the Curriculum. Learn how you can get your copy at the end of the post. Place-based education is on the rise. Despite pressure from districts and administrators to “teach to the test,” educators and parents are yearning for ways to connect our kids to their communities and their place. 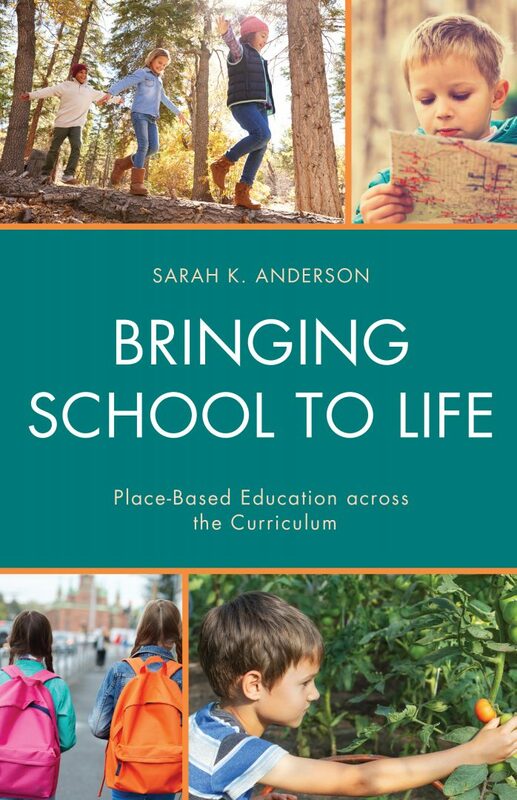 In my book Bringing School to Life: Place-Based Education Across the Curriculum, I provide numerous examples and tips for how teachers can infuse their curriculum with real-life, community-based learning. American philosopher and educator John Dewey planted the seeds for place-based learning more than 120 years ago when he wrote, “Education is a process of living, and not a preparation for future living” (Dewey 1897). The urgency for experiential, hands-on “life learning” is just as imperative now as it was at the beginning of the 20th century. We need to continue taking down the walls between schools and the rest of the world. In the place-based education vision, schools and students are not a separate entity, but instead become an integral part of the community, acting for the public good. There are multiple reasons why now is the right time for place-based education. Across the country, the stage is set for a new community-based, people-powered form of education. Children are separated from the natural world more now than ever before. This crisis was well documented in Last Child in the Woods where author Richard Louv labels the problem “nature deficit disorder.” Kids are not getting outside as much, partly because of the seductions of technology, but almost more so because of parents who fear danger. The obvious result is a new generation that is less informed about the environment, and therefore potentially less likely to care about it in the future. This inadvertently places more responsibility on schools to get students outside and into the natural world around them. While it is essential that students learn about worldwide issues and understand the idea of global citizenship, it is also vital for them to know about what is right in front of them. The less time we spend learning about our own towns and cities, the less knowledge we have. Local politics often affect us more directly than national issues, even if the topics may not be as sensational. Additionally, students—and their parents—can get involved and make real change on a local level. Maintaining a democracy means giving young people the tools, information, and confidence they need to truly participate. Creating long-term projects with community partners requires perseverance and effective teamwork. Presenting to authentic audiences made of invested adults builds both integrity and courage. By actively engaging with their community, students learn to take responsibility for themselves and others. By gaining insight into diverse perspectives and experiences, students develop empathy. Place-based education fosters the growth of caring and involved humans who recognize and value the ways in which we are all connected and depend on one another. Student engagement is a concern for schools everywhere. Many educators are trying new strategies to combat high dropout rates. As we work to close the achievement gap and keep kids interested in school, it is clear that we need to move toward a more experiential, interdisciplinary model (Bridgeland, Dilulio and Morison 2005, pg. 11-12). When students engage in projects that mirror adult undertakings, it is easier for them to feel that school is an exciting part of life—not something set apart. Research suggests that interdisciplinary, project-based learning also helps students retain curricular content and skills better than the traditional approach (Edutopia 2008). Student learning should not focus on isolated, abstract subjects, but on larger, integrated topics which have relevant connections to students’ lives such as current events or local problems. When engaged in a successful place-based education unit, students don’t ask the age-old question, “Why do we need to learn this?” because the answer is obvious. Many times students don’t even notice that they are learning because the education is so deftly camouflaged as real life. Bringing School to Life guides teachers as they consider mapping, local history, and citizen science, as well as how to teach students the basics of civil discourse, community problem solving, and more. Beyond the sphere of education, our world is in dire need of informed care-takers and advocates. Place-based education provides a way for us to bring our children more fully into the world while preparing them to be strong and capable stewards of their own future and Bringing School to Life can help. 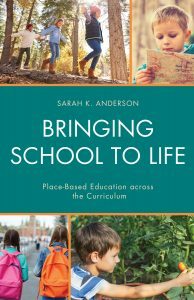 Bringing School to Life: Place-based Education Across the Curriculum is available to purchase now. To order, please visit www.rowman.com or call 800-462-6420. If you call before December 31st, you can get a 20% discount when you use the promo code RLEGEN17. Check out Sarah’s website www.bringingschooltolife.com and her Facebook page at www.facebook.com/bringingschooltolife. 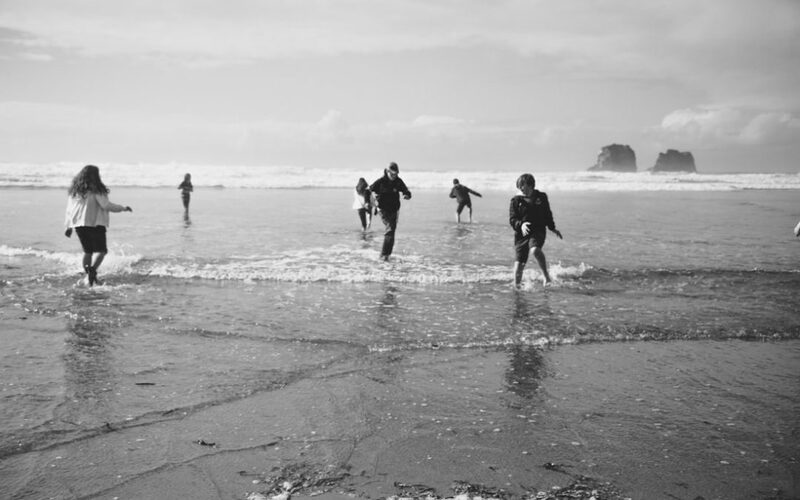 Note: The Place-Based Evaluation Collaborative has collected several studies speaking to the benefits of place-based education. Included on their site is a brochure that highlights some of the primary points. Sarah Anderson taught middle school humanities for several years before becoming the fieldwork and place-based education coordinator at The Cottonwood School of Civics and Science in Portland, Oregon. Her first book Bringing Schools to Life: Place-bBased Education Across the Curriculum is coming out at the end of November 2017.